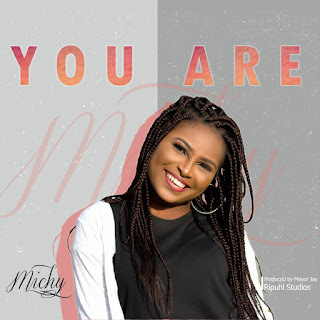 Ekomobong Akpabio a.k.a Michy makes her debut release with ‘You Are’. The gospel music act has been in the singing ministry since as a child. She is known for her Powerful jazzy kind of voice and was one of the contestants in the season 2 of the gospel talent show, Rising Star. For Michy, ‘You Are’ is a way of giving back to God, expressing how indescribable he is. This is indeed a song birthed out of worship, out of rhema and this is just the beginning.